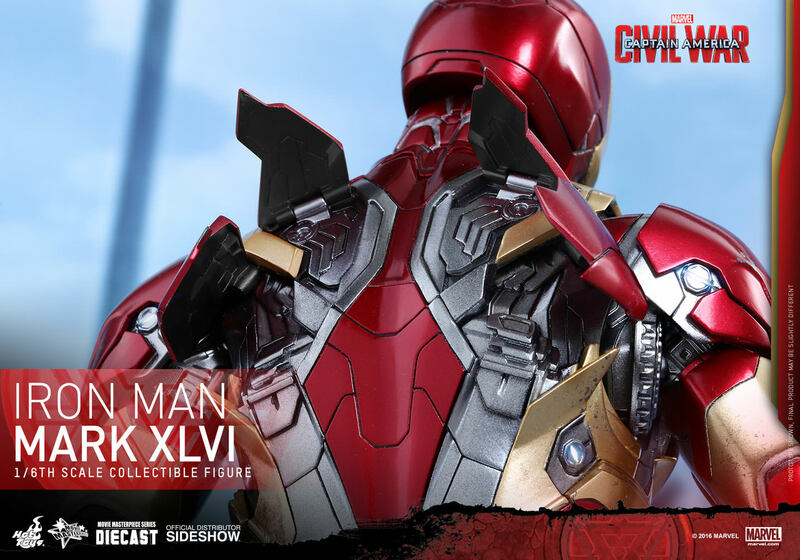 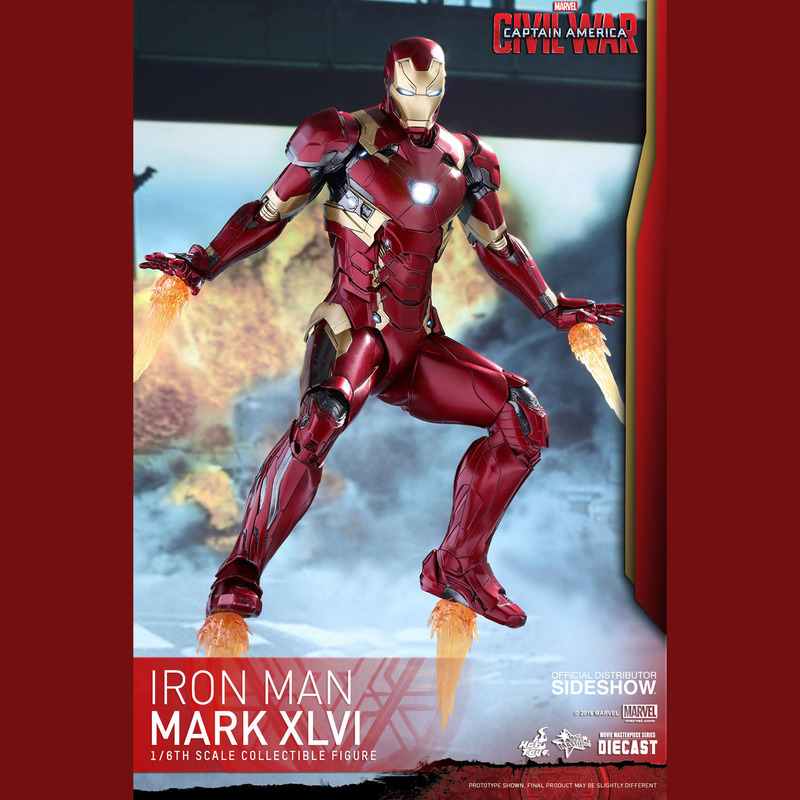 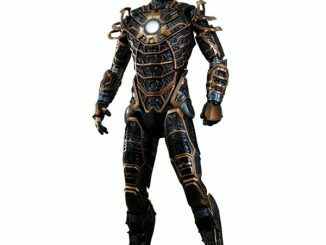 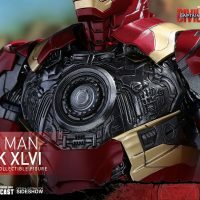 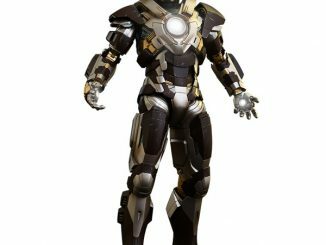 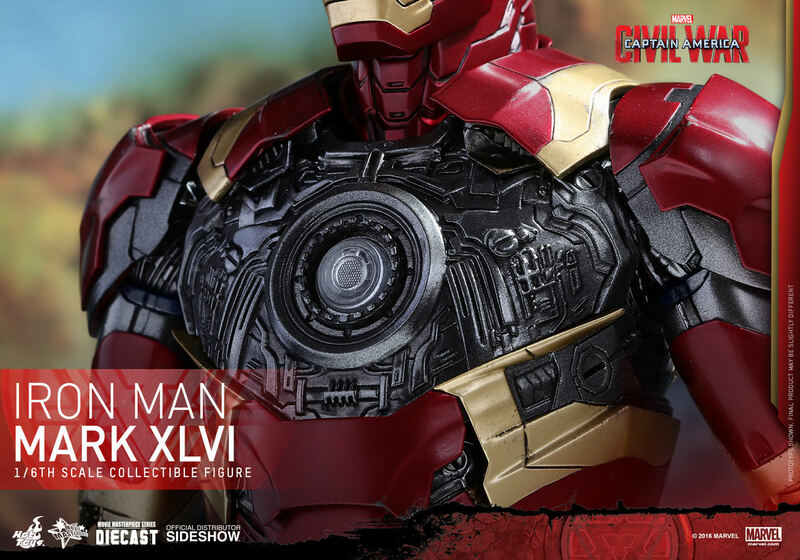 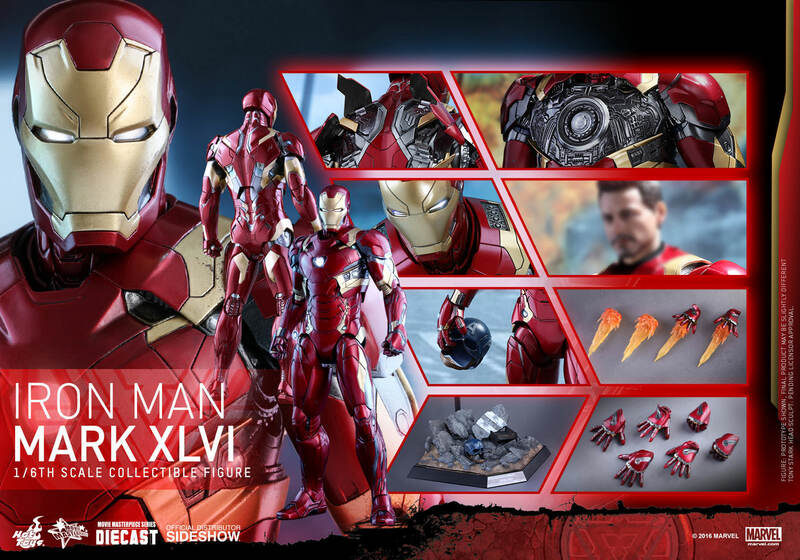 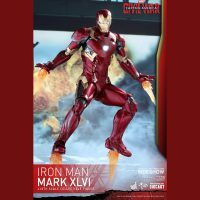 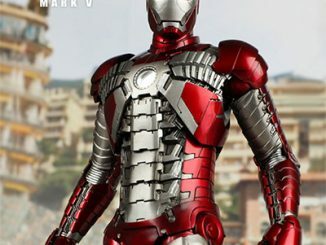 The Iron Man Mark XLVI Sixth-Scale Figure goes metal, as in die-cast metal, which is a pretty sweet addition for a figure wearing armor. 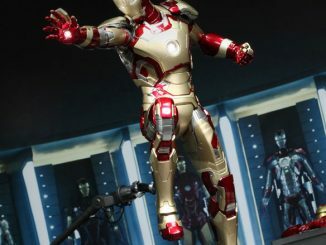 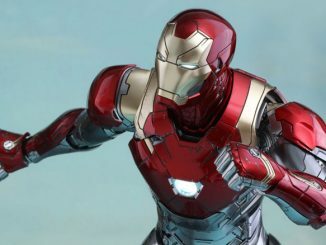 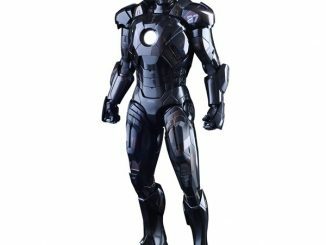 Made of diecast material and designed to look even more like the armor as it appears in the film, this Iron Man figure stands 12.59-inches tall and includes cool features like 28 LED light-up points throughout the body, life-like thrust fire accessories, Captain America’s helmet, and a newly sculpted Tony Stark head sculpt. 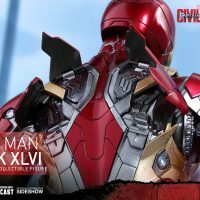 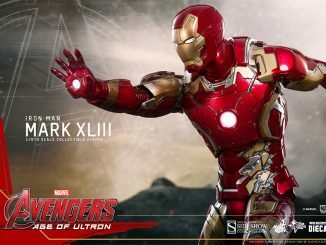 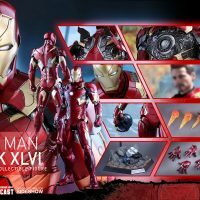 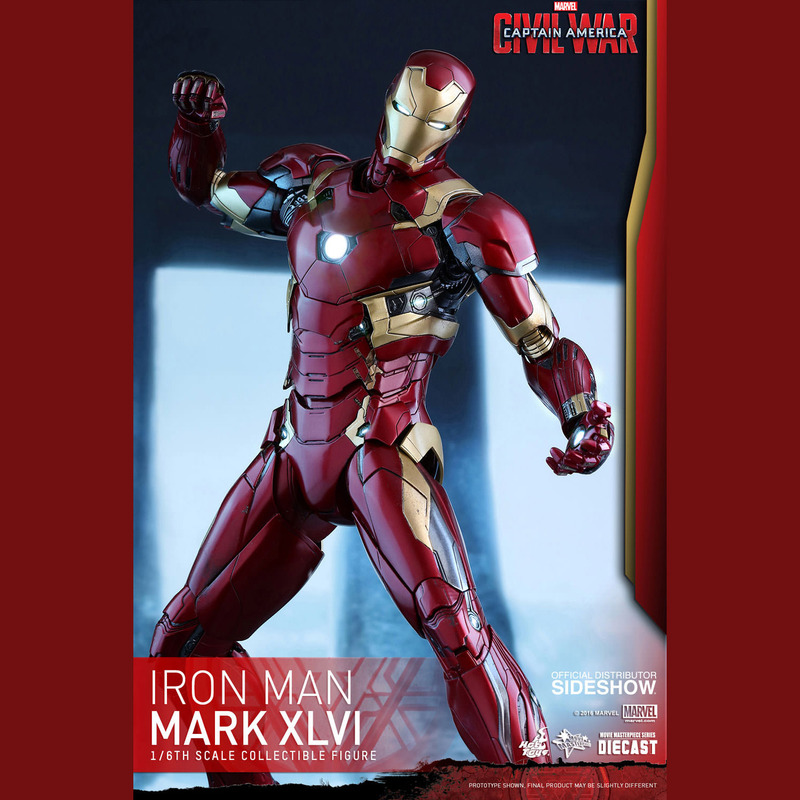 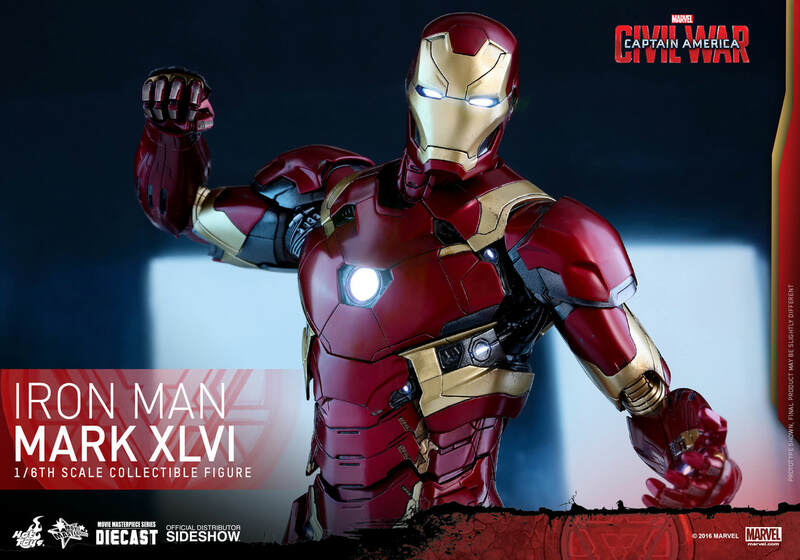 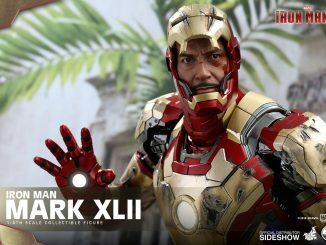 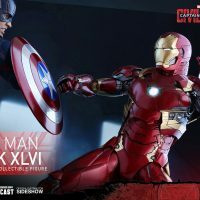 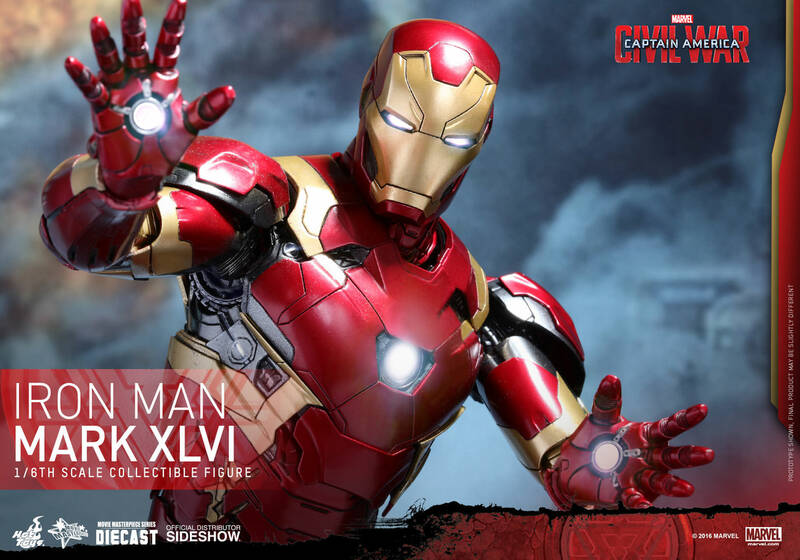 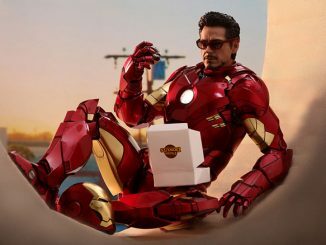 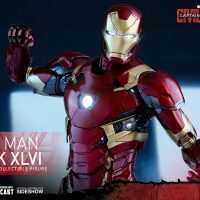 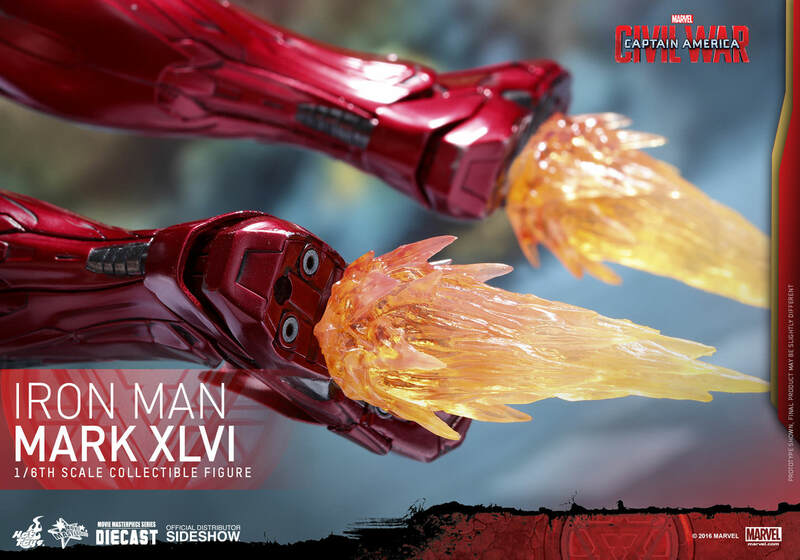 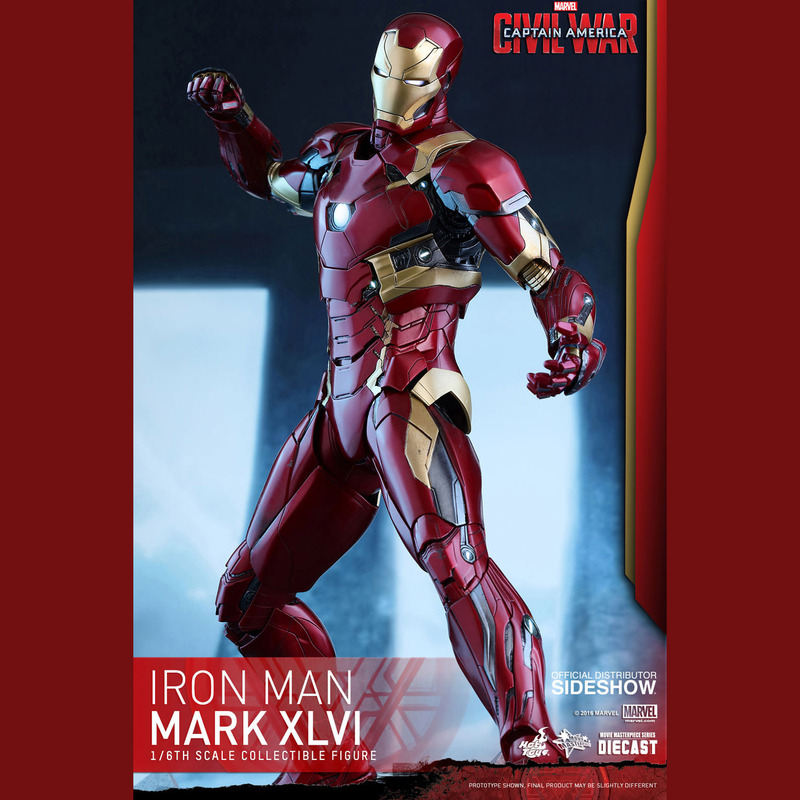 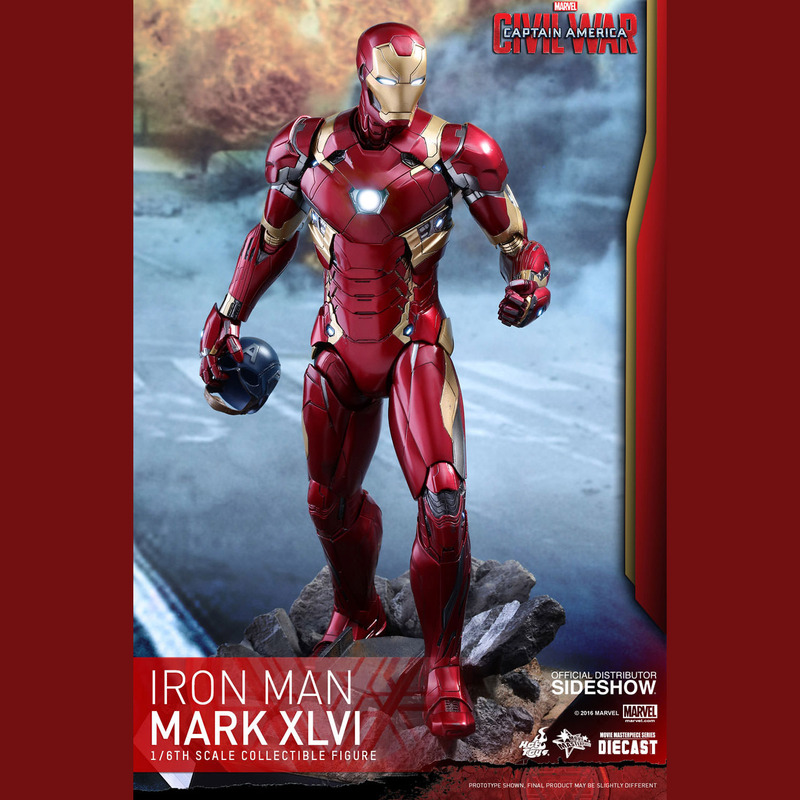 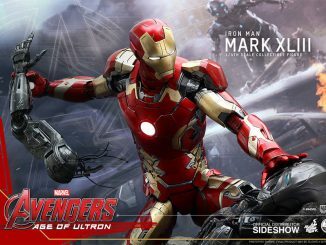 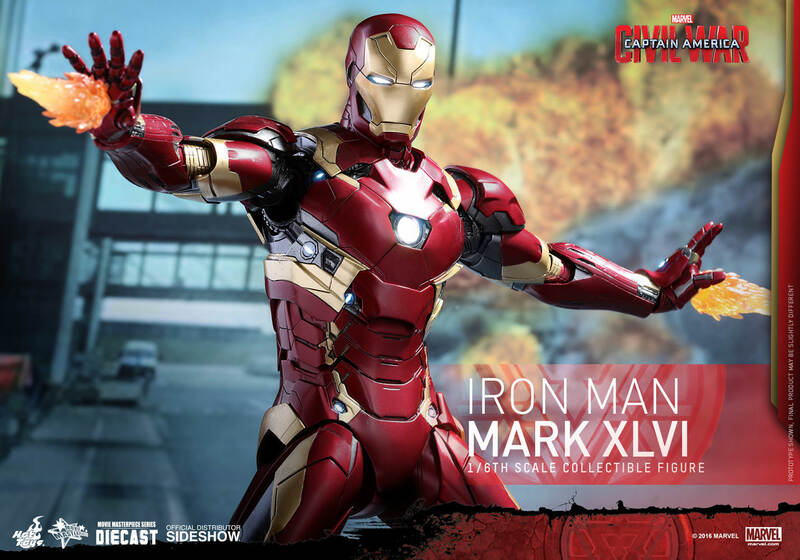 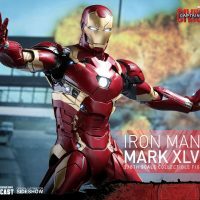 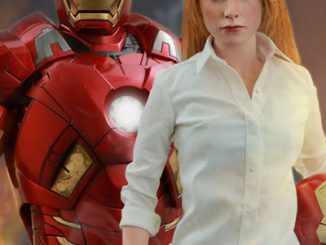 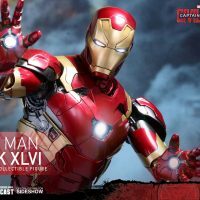 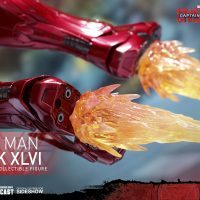 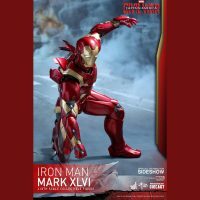 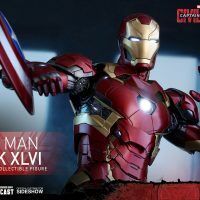 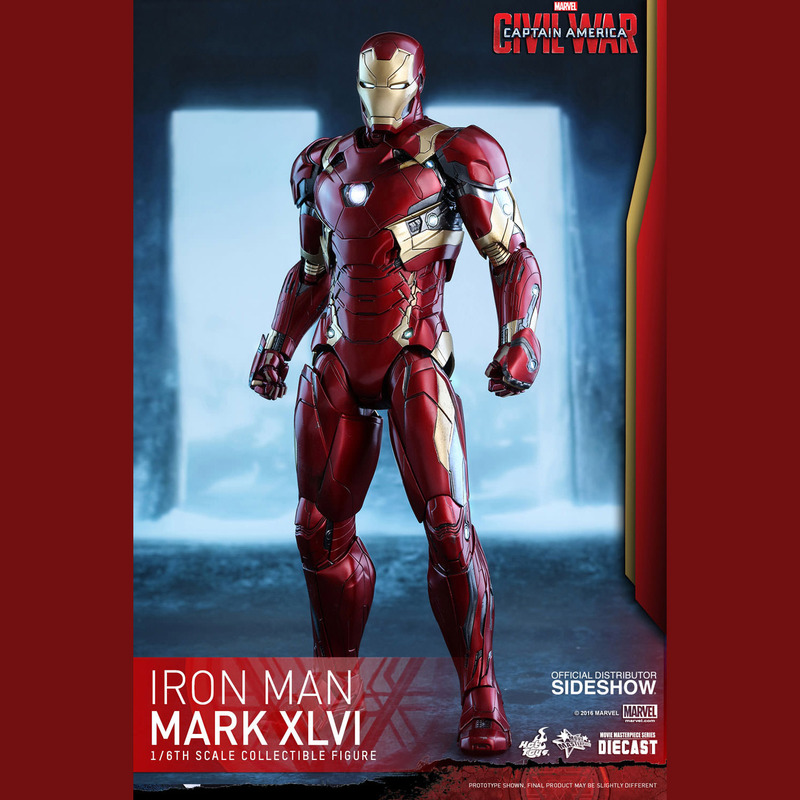 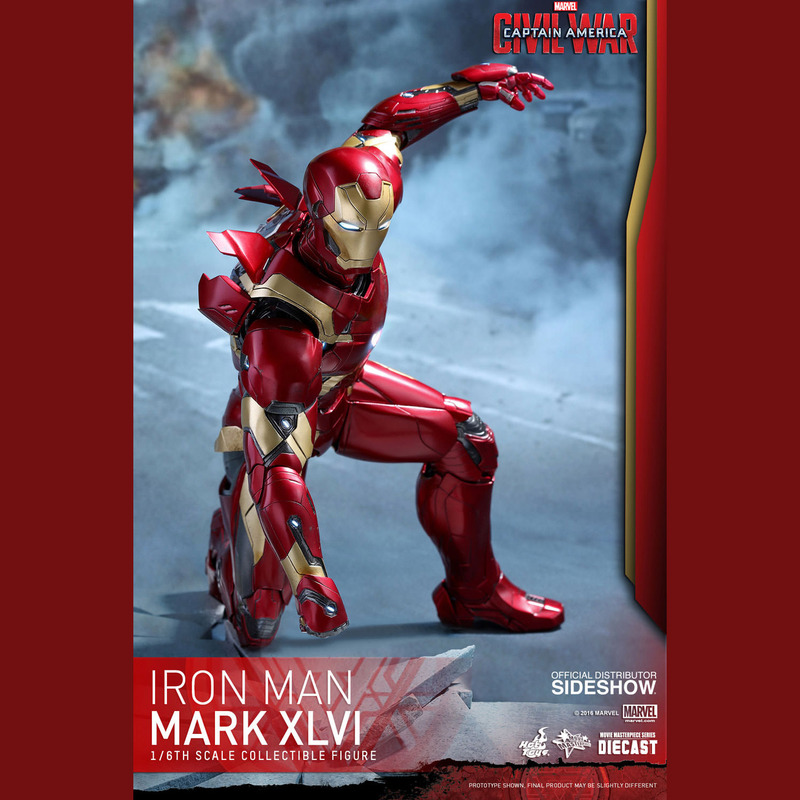 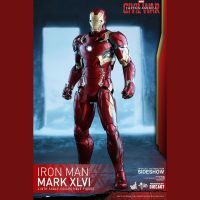 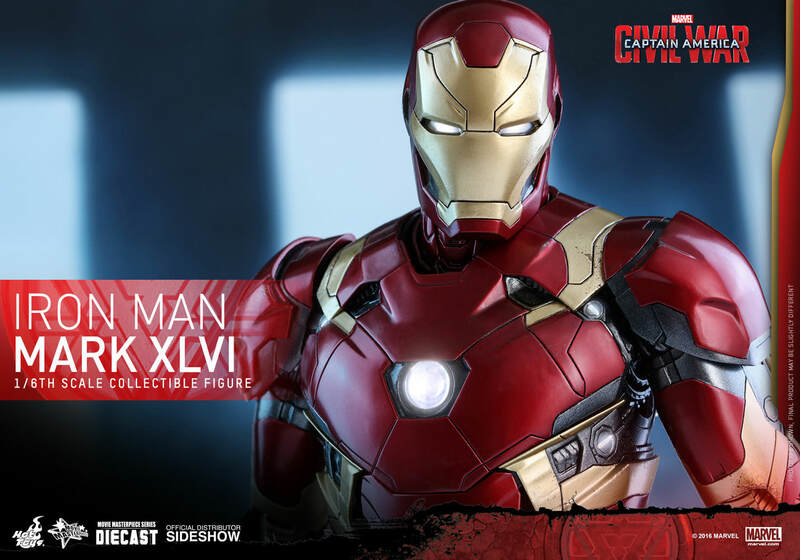 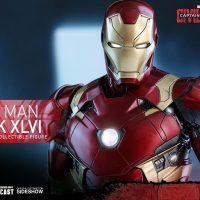 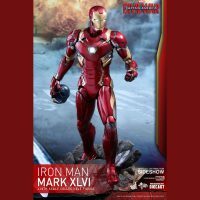 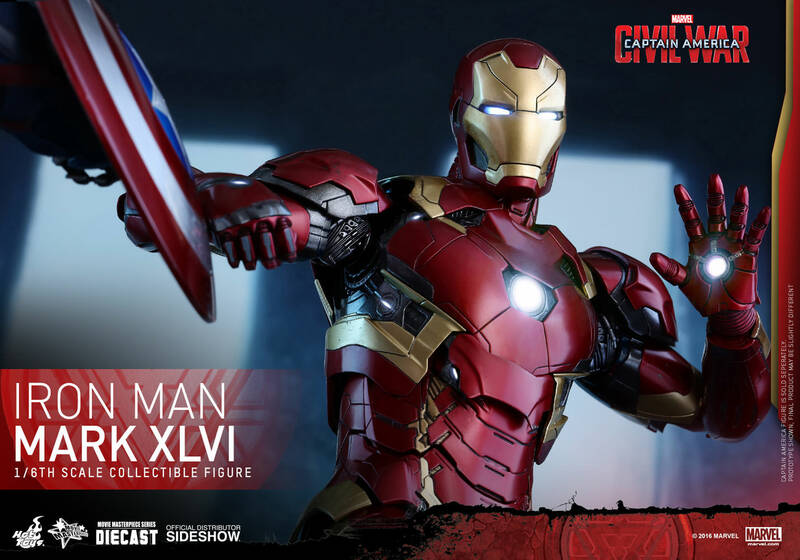 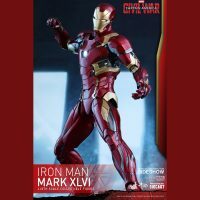 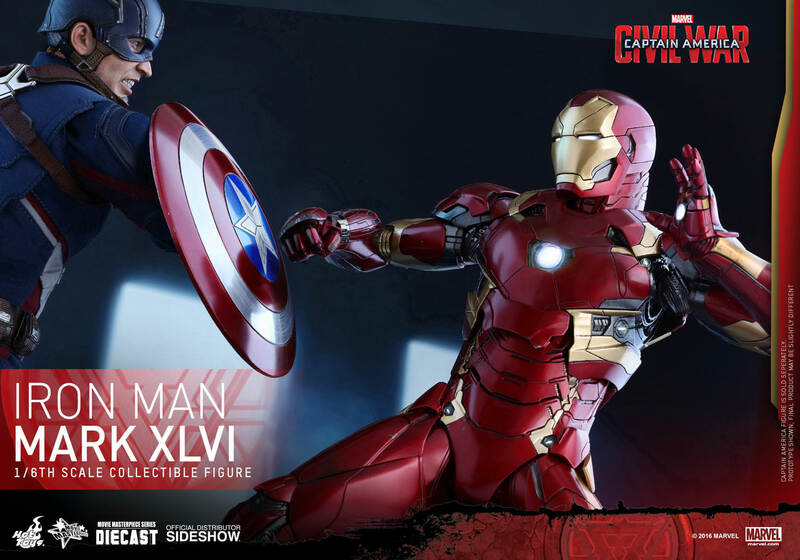 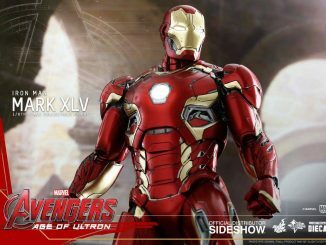 The Iron Man Mark XLVI Sixth-Scale Figure will be available Jun 2017 – Aug 2017 but it can be pre-ordered now for $344.99 at Sideshow Collectibles.